An Icons production manual for a replica pulse rifle from James Cameron’s 1986 sci-fi action sequel Aliens. The now defunct Icons were a leading replica prop company, specialising in reproducing weapons and props from sci-fi films and shows. 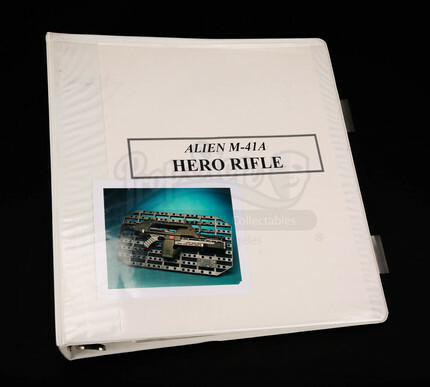 This manual is from their production of a series of pulse rifles, replicas of those carried by the Colonial Marines such as Corporal Hicks (Michael Biehn) and Private Hudson (Bill Paxton). 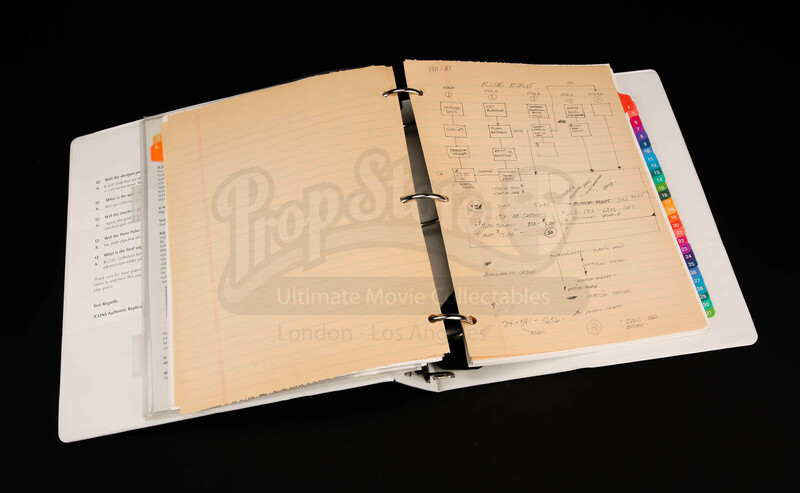 Inside the hard-plastic file are letters detailing the production, memos and hand-drawn production designs from throughout the process. A picture of the finished article has been slipped into the front cover of the manual, and three photos of the replica being held by someone are tucked in the inside front cover. The folder shows some very minor wear from age and storage, with a couple of tears on the older pages, but despite this the pages remain in an excellent condition. Materials: Plastic, Paper, Card, Ferrous Metals.